I’ve talked in more detail about how to go about setting up a document management system and why using an independent outsource partner can help in the process. Imagine a football pitch decked with filing cabinets standing three high, they are correctly identified, labelled and indexed with a map that provides directions to all the various cabinets so people can access the information when they need it. There’s just one problem with this scenario, can you imagine reading the map and trying to find the cabinet you want that holds the information you need when you need it? A document management system is an organisational, technology driven way of taking those filing cabinets and storing them in what can best be described as a digital filing cabinet. Documents and images are stored in a repository allowing management and retrieval of the files. Document Management software (the software behind the system) creates a secure digital file cabinet where literally thousands of documents of any type can be stored and is the equivalent of a digital safe where archived documents can be housed and accessed many years later. Having the right document management solution can provide the necessary cohort required for scanning, document imaging, document archiving, fax archiving and electronic records management. 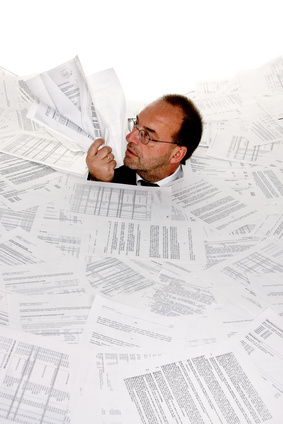 Does an organisation need a document management solution? This largely depends on how much paper you have entering and leaving the building. I recently visited a customer site who had two large offices filled with archived boxes up to the ceiling. That was the half of it the rest had been off-sited to a bigger and secure location. If ever there was a need for a standalone document management software solution it was staring right at me. As for the security implication…! Information is key and your business depends on it. Can your employees locate the information they need quickly and easily? The majority of companies store information in a variety of different places such as DVD’s, CD’s, Zip drives, on networks, individual PC’s and the mainstay of most office buildings the filing cabinet. The answer to the question for many businesses is that “yes” they need one. Document management software captures, indexes and manages scanned paper documents, faxes, emails, PDF’s, computer reports and anything else in its final form. Once archived, documents are easily retrieved by the use of search tags and indexing criteria which have already been set up allowing anyone within the company to access a file or information within seconds and without leaving their PC. Security measures can be strictly imposed for authorised users ensuring that access is restricted. Companies are better organised by making files easier to access, file, share, retrieve and secure information. Employees are productive because they save time searching for business critical information. Having a digital filing cabinet affords greater functionality than paper files because multiple people working from home, different offices and even on different continents can access and work on files simultaneously. So, imagine the football pitch scenario…. if this is your company then call us for more information on how we can help you set up a secure document management system that will work for you. 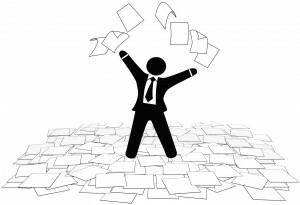 Implementing a document management system will save you time and money! What do you think? Are you drowning in paper? Have you given any thought to the time it takes to find what you’re looking for? Leave a comment we are always interested to hear your views. For regular news and updates please do follow us on twitter, like us on facebook and connect with us on linkedin. By subscribing to our updates hit the orange RSS button at the top of the page they will be delivered automatically into your inbox. If you like this blog and think it will be useful to others please share it and leave a comment to! Alchemy will grow with your business – imaging, capturing, indexing, archival and retrieval, document management, records management, integration and distribution functions all available when you need it. Running either on a server or as a stand-alone configuration, it can also be deployed over the web for remote user or self-service. Alchemy supports many scanning and capture systems as it is built on Microsoft technology and provides out of the box integration for Microsoft Office, Microsoft Exchange, Microsoft SQL Server and Microsoft SharePoint. Irrespective of the document type, Alchemy provides a centralised digital archive where documents from multiple systems can be consolidated and then be delivered using multiple delivery channels.